Tadhg O’Sullivan, Vice chairperson of the Allihies Copper Mine Museum will speak of the tradition of mining at the old Allihies Copper mines and the exodus of the miners in search of similar work to the town of Butte, Montana. Tadhg will speak at 4.15pm on Thursday 31st July at the Firkin Crane Centre in Shandon. For most of the 19th Century, Allihies was a bustling mining town, with everything one would associate with such towns, money, vice, corruption, disease, crime and so on. 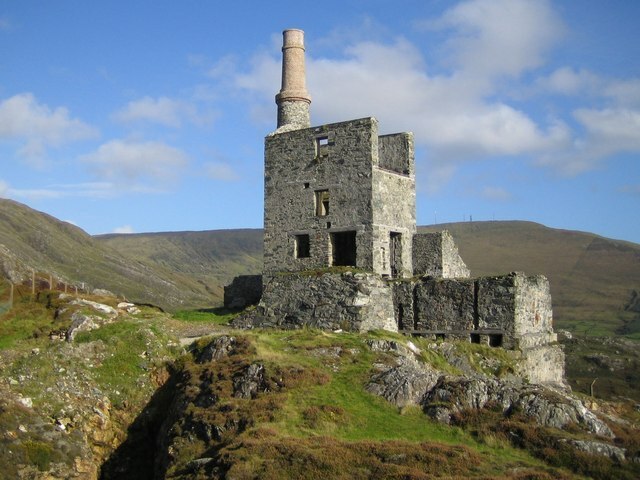 It had turned from a sleepy rural backwater to a centre of industry in 1812 and for over seventy years this mining venture continued, with an influx of Cornish miners along with many local workers at different levels of intensity, until the operation was wound down finally in 1884. From around 1865 onwards the Allihies mining community had started to emigrate mainly to Montana and a town called Butte high in the Rocky Mountains. Butte was beginning to experience the boom times that Allihies had experienced seventy years earlier and the miners and their families followed the work and the money. It was approximately a 6000 mile journey, a journey many didn’t survive. But those who did made their mark in this North-West corner of the United States and became the main players and the biggest community in what was one of the richest mining stories ever. Butte today has a population of around 30,000 down from its height of 60,000 in the 1920s when it was one of the largest and most notorious copper boomtowns in America. The rush for riches also saw the growth of trade unionism epitomised by the founding of the Western Federation of Miners (WFM) in 1893 and by the large support enjoyed by the Wobblies (the Industrial Workers of the World) in the town. In many ways Butte became a microcosm of the labour/capital wars of the late 1800/early 1900s and which culminated in the murder of union organiser Frank Little of the IWW in Butte in 1917. The town was later the scene of the Anaconda Road massacre in 1920. The main protagonists were Marcus Daly’s Anaconda Copper Mining Company and the militant Western Federation of Miners, William “Big Bill” Haywood, Charles Moyer and Mother Jones trod the streets of Butte in defence of the miners, many of whom were Irish and some from her very own county. The WFM were a radical union and were to forefront of many strikes, and the campaign for an 8-hour day. Their activities caused some friction with the longer established United Mine Workers of America and attracted the attention of the Federal authorities. Indeed Mother Jones arrived by train from Butte, where she had been organising strikes for better working conditions to West Virginia/Colorado in 1912 at the outbreak of the coal wars in the region (1912-1914). Although always associated with the UMW, Mother Jones maintained extremely cordial relations with the WFM and worked closely with both unions, as usual she just got on with organising workers. The Spirit of Mother Jones festival 2014 will try to ensure that the story of Mary Harris/Mother Jones from Cork city is again reconnected through the rich and complex tapestry of history to her links with the West Cork copper miners of Allihies and Butte, Montana. All are welcome to attend. The event forms part of the Miners’ Day at the Spirit of Mother Jones summer school with speakers films and music from the USA, the UK, Greece and Ireland.